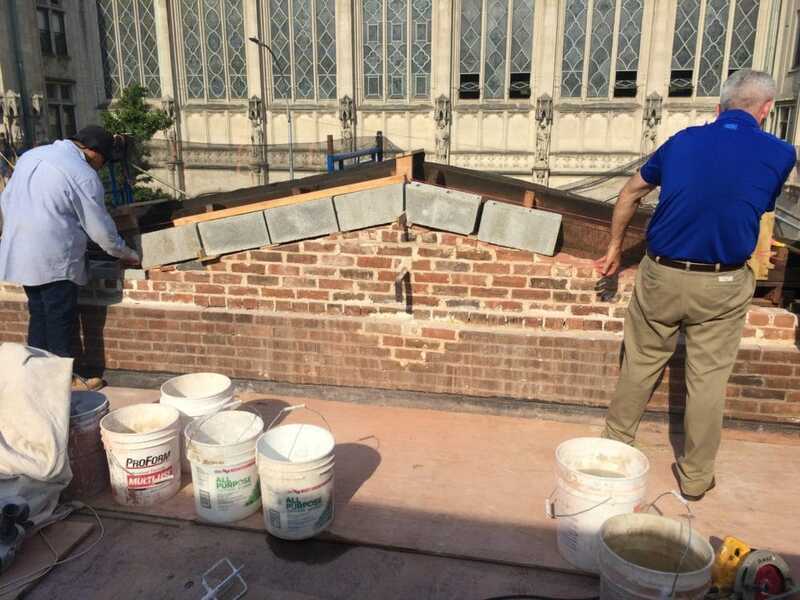 Time for the latest update on the Brooklyn Carriage House in New York! 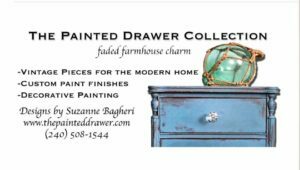 As you may recall from previous posts in this series, my sister and her family of four purchased a historic carriage house in Fort Greene, Brooklyn. The home is charming and full of potential but boy, it was in desperate shape! 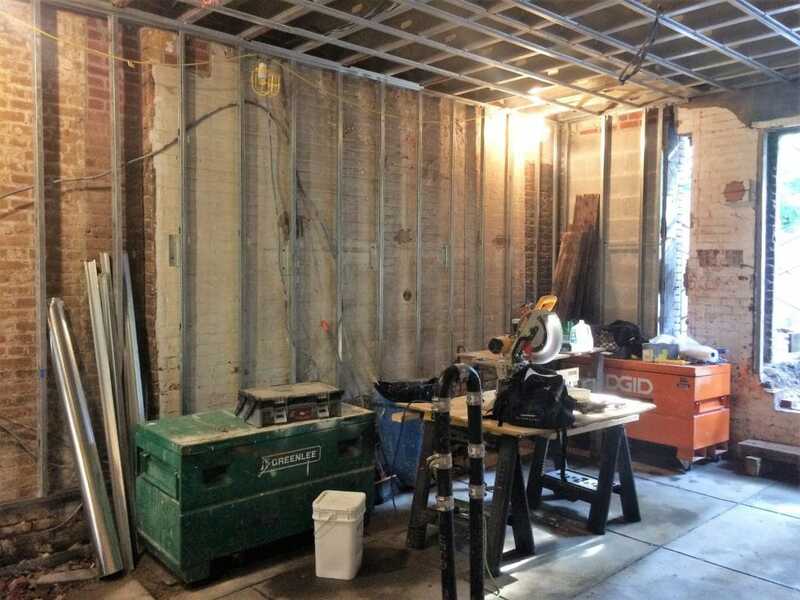 Once permits were approved from the Landmarks Preservation Commission and other city agencies, the construction began in earnest. In my last post, the demo was underway. In this post, the home is slowly and meticulously being put back together. This project was a total and complete renovation. Basically everything was gutted and all new plumbing, electrical, etc. is being installed. This also includes steel enforced walls and floors. 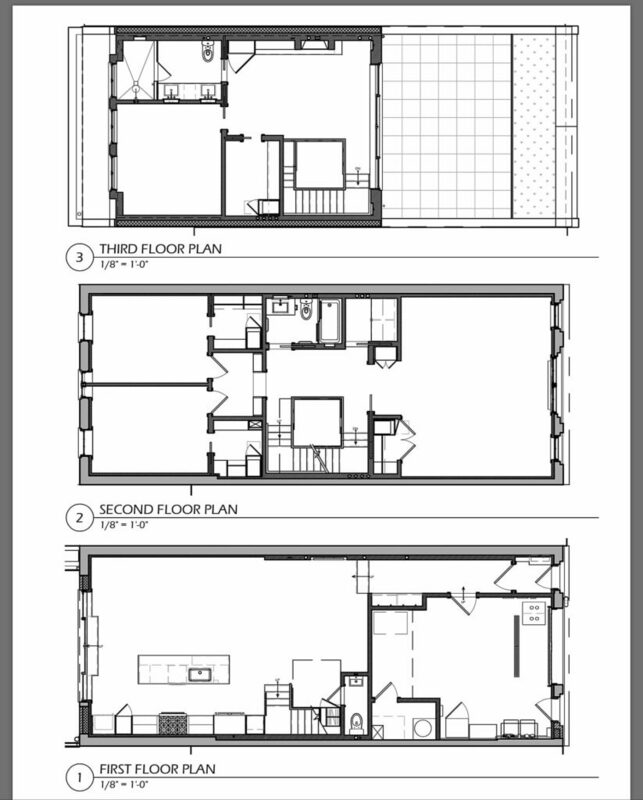 Here is the floorplan (as shown previously). Here are the latest pics! Now it is really starting to get interesting as we can see the plans starting to come to life. The first pic depicts the ground floor. 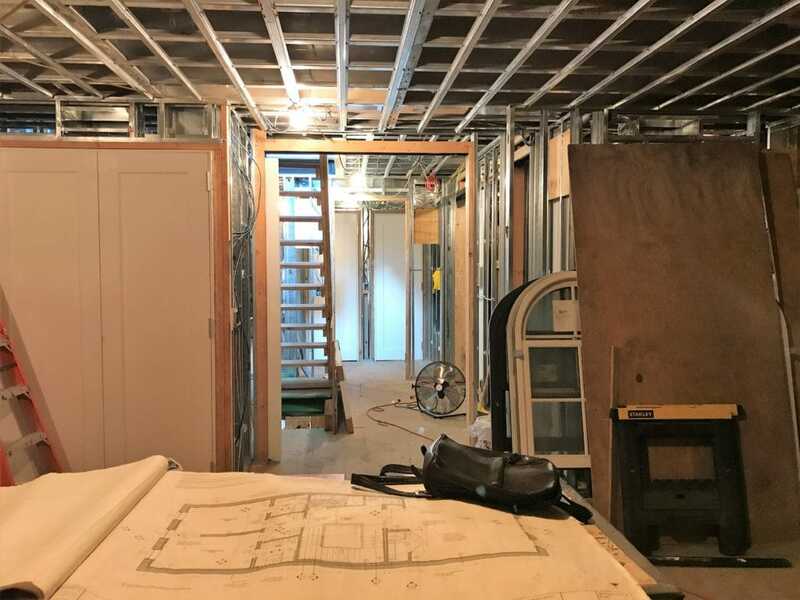 The garage is in the front of the house and a hallway to the right will lead through into the back where the kitchen and dining area will be. 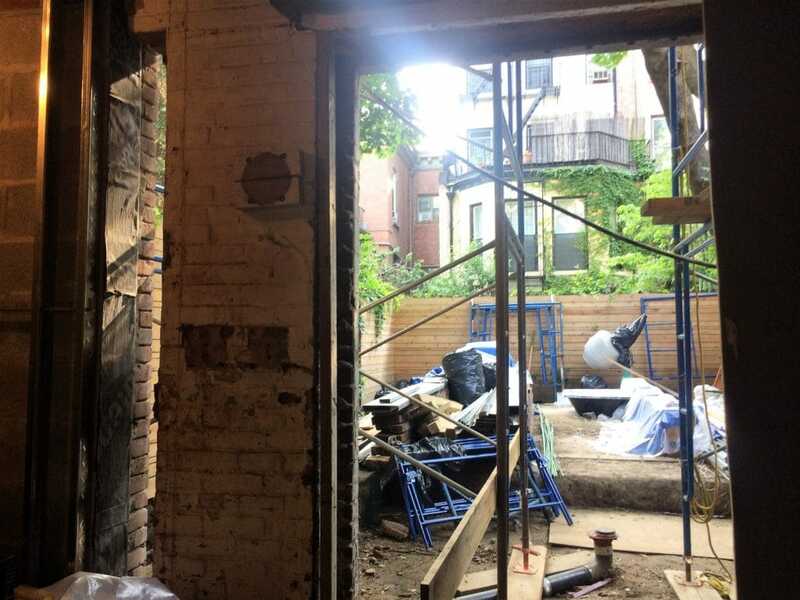 These three pics show the ground level of the house facing the kitchen and backyard. To the left will be the kitchen cabinets and also the kitchen island. The large door will open to the back where you can see the newly installed cedar fence. 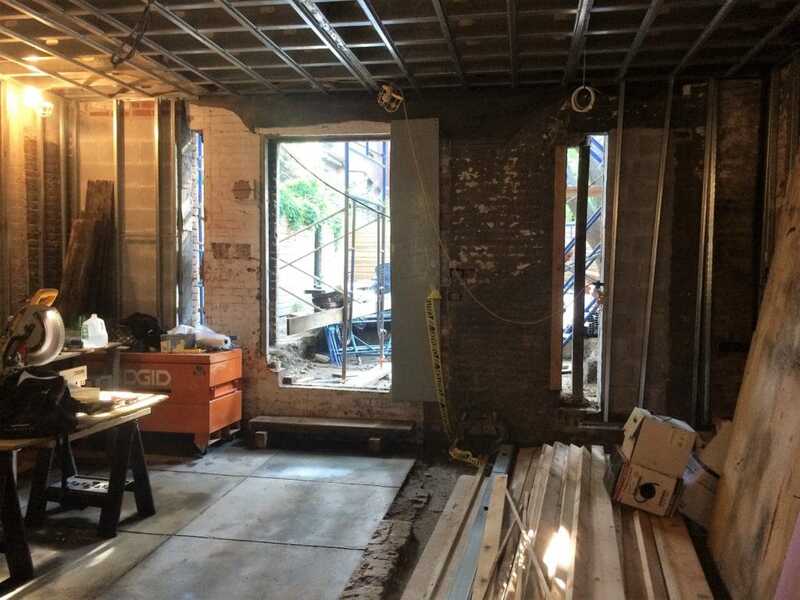 The large back window will allow a lot of light into the space. In fact, the entire house has been designed to allow as much light as possible, such as the open stairway in the middle of the home. 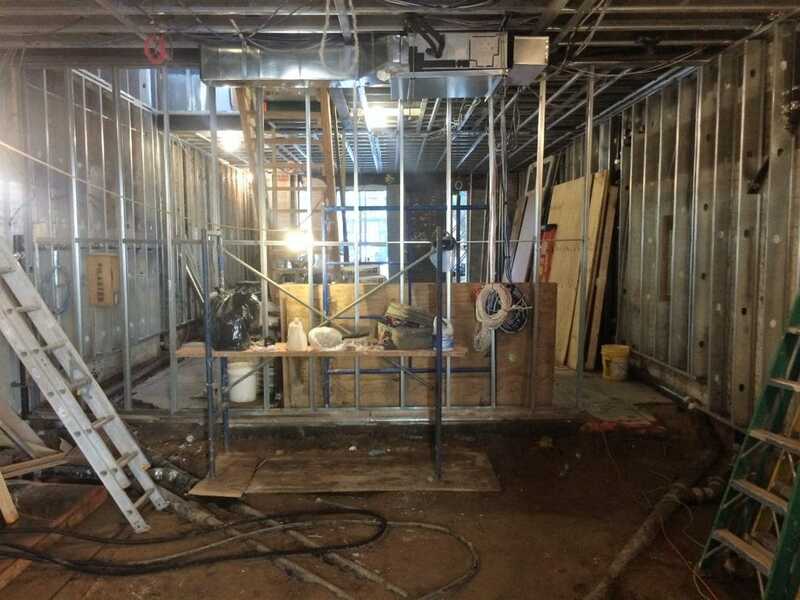 Below are pics of the second floor. 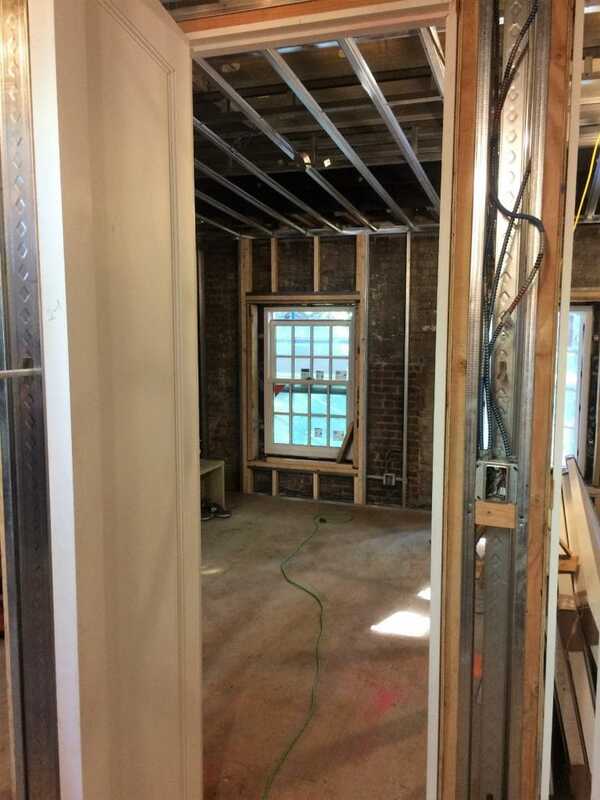 These photos were taken standing in the new family room space looking through to the landing and beyond that, the kid’s bedrooms and bathroom. 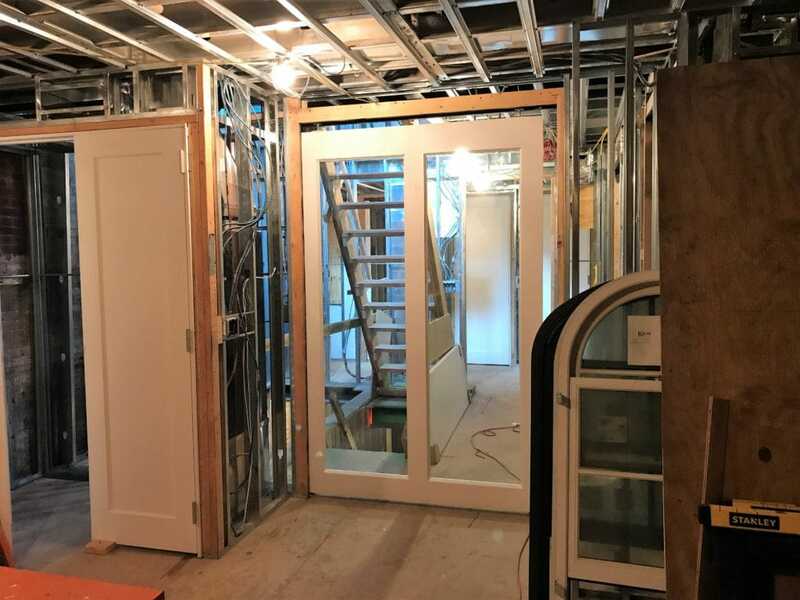 The doorway from the family room is glass which will make the space open and bright. Each of the children’s rooms has its own window overlooking the back garden. The new addition to the home will house the master bedroom, bathroom, closet and sitting room. 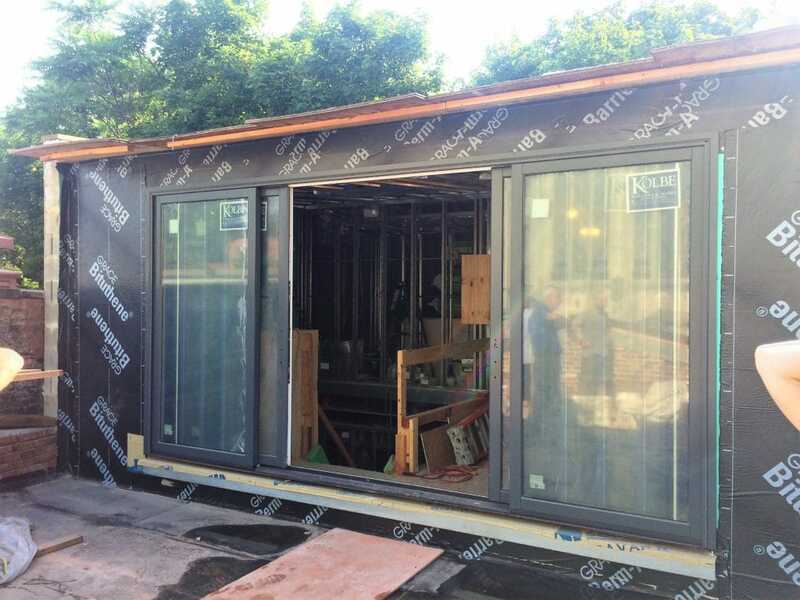 It has a large glass wall that will open onto a rooftop patio and the house has a new front elevation. It’s really shaping up! The full series below! I love these updates! Your sister is going to have a beautiful home when everything is done and I can’t wait to see it complete. Thanks, Annie! It is definitely coming along. The posts should get more interesting when the real decorating can begin!